I agree with you Dave. My intention was not to say who was best it was to say that I thought Hayley was not suited to sing this type of song. Her voice is to pure. Of course this is only my opinion and others may perceive it differently. 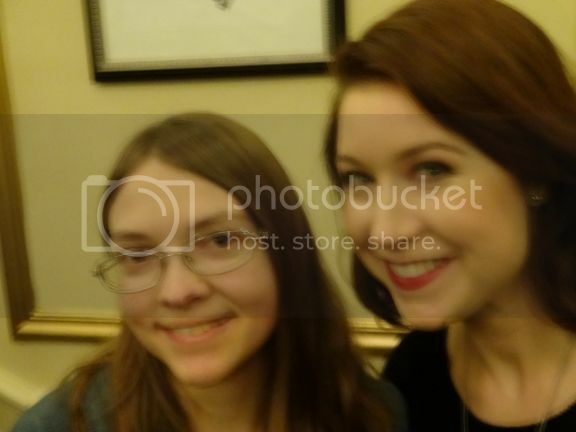 But make no mistake that just as I said in a subsequent post I meant no criticism of Hayley. She's still the best I've ever heard. The performance at Royal Albert Hall by Hayley touched me deeply. She was spectacular, She even had her hair styled in a 40's style.. Hayley is an icon at an early age. Was your original recording in .wma, .wav or Mp3 ? I know the .wma files are bigger, but the usually are better quality than mp3. I'm not familiar with any of the other songs besides the Paradiso ones. So I'm don't know the difference. I thought she sang them well, but was back to her "Battle of Britain" voice a little. Old-fashioned sounding. But very well-sung, of course. So, pardon me, Martin, when I say that for me, Cinema Paradiso was the performance of the night, with Whispers not far behind! One thing about Cinema, the instrumental part didn't seem quite right; I felt like it was missing something, the part of that music that I like best, actually. Oh well, hopefully the orchestra that tours with her will do it right. And I thought the high notes in the song were not quite effortless. Thanks alot Martin for the mediafire links! Now about this song, I don't think it's right to say "this song doesn't suit her", a better and acceptable way to put this is "Since Dorris Day is my icon, and that I've listened to her song so many times it became quite irreplaceable and I think Hayley's voice didn't suit it"
I'm a person who strongly feels in the fact that there's no such thing as "original being unbeatable" Sure, it is usually hard to beat it, but with Hayley she proved this fact wrong right from Scarborough Fair, for me. As I said earlier, I completely prefer Hayley's version of Deadwood stage as it has more feel, emotion and liveliness. Finial word on Deadwood. Both Hayley and Doris did the piece very well. Both Hayley and Doris sang it well....just with different twists on the piece. I have no Doris Day albums and I have all of Hayley's albums except for the Asian ones. So it's obvious who my favorite artist today is. I loved Doris but I live in the present not the past. Actually, I was referring to how the instrumental part sounds on Paradiso itself, compared to how it sounded in this concert. In this concert, I didn't hear a little part of it that I hear, and really, really like, in the Paradiso recording. That's why I noticed it, because I like it so much, and was disappointed when I didn't hear it. I don't know if I've ever heard the original piece, since I've never seen the movie. But I think I will try to see it sometime. Hayley said it was "stunning", so that made me interested in seeing it. These songs, everyone of them really impressed me alot, and I definitely would want to listen to this always just like all the other albums I have, because hayley may never record these songs or sing them again. So I decided to make this a mini album thing, with all the mp3 files edited so that it has proper fade in opening and fade out ending and the 2 second pause at the end. All the applause, speech have been removed. And being a musician myself, I isolated the vocals, added some nice reverb effects to ensure somewhat studio quality. So better quality is guaranteed! 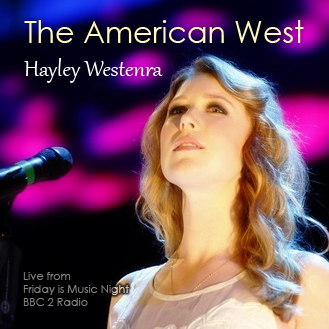 Not only that I also added all the Contributing Artist(s), album, year, genre, origin details to the mp3, so when you load it on itunes or Windows Mediaplayer, this should come under Hayley Westenra > The American West, with proper tracklisting. Album art should get updated by itself, but if not, the Album Art image is included in the .rar, and you can update it manually I hope you guys like the tracklisting, I thought this flowed pretty well. i21.photobucket.com/albums/b294/hdjoespics/EEjdKsU.gif Thanks Simba, really well done. Thanks alot Ross! Glad you like it Oh! And thanks Martin for those mediafire links! First a big thank you to all who work behind the scenes. I think HWI is really looking great, neat, well laid out, professional and well up to the standard of the star we are celebrating here. Second. A special thank you to Dave for the recordings of FNIMN. Third. Our heroine. Her rendition of these songs tells the world she is not a singer! She is a full-blooded showgirl. In her voice, you can hear the characters she is acting. This is an actress ready for a West End musical. I would have longed to see how she was on stage. I am sure she would have given away just how much she wanted to swirl her dress and tap her feet. Not only was her rendition wide-ranging in her song interpretations but that diverse interpretation had depth. Most noticeably was the Deadwood Stage. She was with doubt as good as Doris Day but Hayley's interpretation was completely different yet brought out all the nuances Doris Day gave us but in Hayley's own way. It is a long time since I saw the film but I'm sure Hayley gave the song something more than Doris Day gave us. As also with Spring spring spring. A lot of work in that presentation, Dave. Thank you. Well done Hayley. A superb evening. That is a lovely tribute. Thank you for your efforts and glad to have you on board.